Need a chip clip? Or maybe just something to keep a bag or package closed? 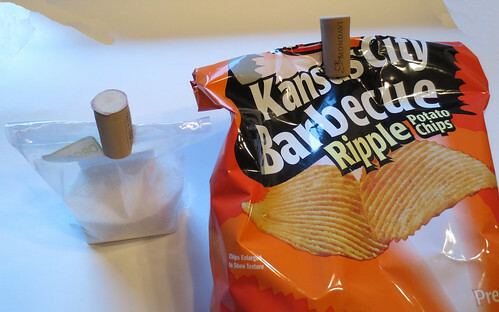 All you need to do is recycle a wine cork into a useful bag closer. Check out these ones I made. 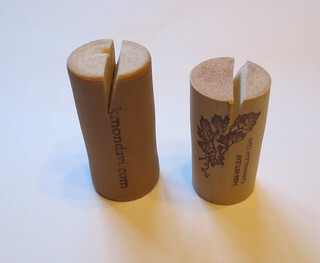 The steps are quick and simple to recycle any wine cork into a bag closer. First place the cork on a cutting board and with a sharp knife slowly cut down about halfway through the middle of the cork. Then cut a bit at an angle down again to create the opening at the top of the cork. See photos below for a closeup of the cuts. You can make the cut wider for thicker bags too. 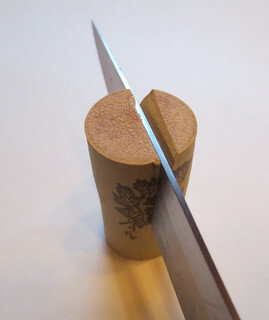 Just angle your cut down into the center cut for a wider opening. If the opening it not wide enough, just cut down again at an angle until you have a wider opening as needed. Conclusion: Recycling old wine corks into bag closers is a great way to repurpose old corks and seal your packages closed. Always wondered what I could do with corks — thanks for the tip! time to buy some more wine! giddyup! the “corks” in the picture look like the synthetic ones — not truly cork.I would expect the synthetic ones to work better for this use; they are of consistent density throughout and wouldn’t tend to crumble. Cool & cute idea.